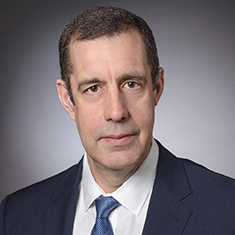 William Dudine has extensive experience as underwriter’s counsel, lender’s counsel and bond counsel for a variety of public finance and project finance transactions. He has particular experience representing clients in major infrastructure financings, including toll bridge and toll road facilities, airport facilities, stadia facilities, water and sewer facilities, educational facilities, and waste-to-energy facilities. William has substantial experience relating to public private partnership (P3) transactions and has advised clients from the initial bid stage through and to commercial close and financial close. William has acted as counsel with regard to a number of structured municipal financings relating to securitization of tax-exempt revenue streams, including securitization of state aid, personal income taxes and sales taxes. William also has worked as counsel on a number of economic development projects relating to the provision of development incentives, including tax abatements and tax-exempt financings, and large-scale site selection incentive projects. Counsel to the credit enhancer in connection with the LaGuardia Airport Central Terminal Building Replacement P3 Project. Counsel to an equity investor in the IRT Concession Company LLC, the owner of the Indiana Toll Road Concession. Counsel to the lenders in connection with the Pennsylvania Rapid Bridge Replacement P3 Project. Counsel to the lenders in connection with the I-69 Section 5 Freeway P3 Project in Indiana. Counsel to the lenders with respect to the Virginia Small Business Financing Authority Senior Lien Revenue Bonds (95 Express Lanes LLC Project), issued to finance a P3 DBFOM toll road project. Counsel to the lenders in the financing of the Capital Beltway High Occupancy Toll Lane Project, a privately operated toll road constructed within the right-of-way of the Washington, DC Beltway (Route 495) in Virginia.